Saturday saw another incredible Seafair Summer Fourth celebration at Gas Works Park. Thank you to TIA International Photography for the breathtaking photos. Have photos you’d like to share? Send them to @SeattleParks on Twitter. Where can I find information about the fireworks displays? 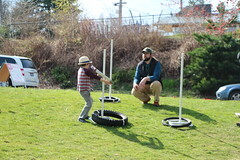 Puget Sound Energy (PSE) in cooperation with Seattle Parks and Recreation is working on a soil cover project at Gas Works Park that will close Kite Hill from the day after Labor Day (Sept. 2) to the following Memorial Day, 2015. The project adds a layer of soil and plants new grass on Kite Hill in advance of an offshore sediment cleanup at the edge of Lake Union. Preliminary construction activity starts on Aug. 18, 2014 with Kite Hill and the surrounding area closing on Sept. 2. The lengthy closure is needed to allow the new grass to get established before the area is reopened to the public. Gas Works Park is located at 2101 N Northlake Way on the north edge of Lake Union. For approximately six weeks there will be intense construction activity with large trucks and earth moving equipment removing the existing topsoil and pathways and hauling and placing new material. The sundial at the top of Kite Hill will be protected in place and will not be removed. New pathways, in basically the same location as the existing paths, will be added to Kite Hill during the initial construction phase. The intermediate path on the south side of the hill is the only path that will be eliminated. A second round of hydro-seed (grass) may be needed in the spring prior to reopening Kite Hill to the public. When Kite Hill is reopened, the look and feel of the hill will be the same as it is today. PSE is the successor in interest to the former owner (Washington Natural Gas) of the park site when it was used for a plant to manufacture gas from coal during the first half of the 20th century. PSE and the City of Seattle are the two responsible parties for the on-going cleanup of Gas Works Park. The City and PSE have a consent decree with the state Department of Ecology for the upland portion of the site. PSE is currently working on the Remedial Investigation/Feasibility Study (RI/FS), which will address the offshore sediment contamination and present options for the cleanup. One of the issues associated with the sediment work is the potential recontamination of the remedy from outside source(s) including uncovered areas of the park where there may be contamination at the surface. By adding clean soil to Kite Hill the risk of recontamination of the sediment from the surface flow of storm water is minimized. Both Ecology and the federal Environmental Protection Agency are very supportive of this early action as we move towards the sediment remedy. 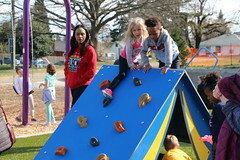 For more information please visit the park webpage at http://www.seattle.gov/parks/park_detail.asp?ID=293 or contact David Graves, Sr. Planner for Seattle Parks and Recreation at 206-684-7048 or david.graves@seattle.gov. Time: Noon – 11 p.m. The best resource for information regarding the Seafair Summer Fourth firework display is Seafair.com. Please note that neither the City of Seattle, nor Seattle Parks and Recreation pays for the firework display. Where can I view the public firework display? The best views of the public firework display are from Gas Works Park and Lake Union Park. 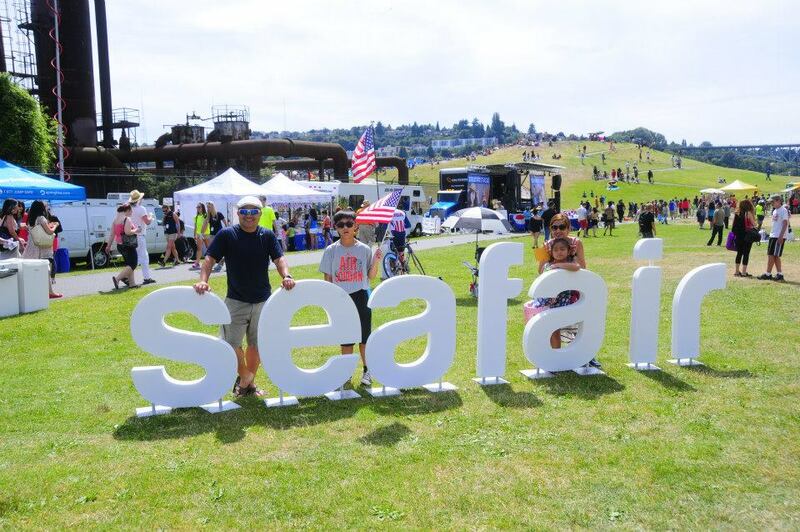 If I attend the Seafair Summer Fourth event, what are the rules? Give yourself plenty of time to get to the event. Public transportation is encouraged, but buses will be running on a reduced holiday schedule. Parking will be limited due to street closure. People with disabilities will get parking on a first-come, first-serve basis. Cyclists are welcome to use the express entrance, but there will be a limited number of bike racks inside the park. – Slather on the sunscreen! – Do not drink and drive! – Pets are not allowed in the park during Seafair Summer Fourth – please leave them at home! A hot vehicle is no place for a pooch. Seattle Parks and Recreation invites the community to join in the Gas Works Park Play Area renovation first public meeting on Tuesday, March 11 from 6:30-8 p.m. at the Good Shepherd Center, 4649 Sunnyside Ave N, 98103, Room 202. 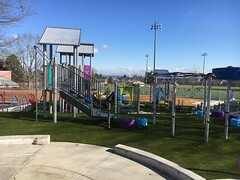 Gas Works Park, located at 2101 N Northlake Way, offers many park features including a play area. 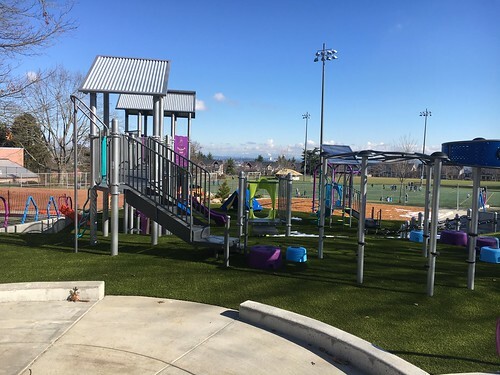 This project provides renovation to the play area including equipment upgrades, ADA access improvements and other enhancements. The meeting is an opportunity for the community to hear about the upcoming project and offer input on the play area renovation. Seattle Parks staff will be at the meeting to discuss the project and answer questions. The community is encouraged to participate and all are welcome. Gas Works Park is a 20 acre point on Lake Union. In 1906 it was cleared to construct a plant to manufacture gas from coal. However, import of natural gas in the 1950s made the plant obsolete. The city acquired the site in 1962 and the park was opened to the public in 1975. If you have questions, contact David Graves, Seattle Parks and Recreation at david.graves@seattle.gov or 206-684-7048. Tom Tierney, new Commissioner. The Board will welcome Tom Tierney, new Commissioner, to his first meeting of the Board of Park Commissioners. Tom is the former Executive Director of the Seattle Housing Authority and was appointed to the Board by City Councilmember Sally Bagshaw. Friends of Gas Works Park: National Register. Representatives of the Friends of Gas Works Park will make a presentation to the Board on the nomination of the park for placement on the National Register of Historic Places. The park was placed on the register on January 2, 2013. Request to designate MacLean Park as a designated Viewpoint. The Board will hold a discussion of this request. Parks Legacy Plan vision and mission discussion and recommendation. The Board will discuss and make a recommendation to the Parks and Recreation Superintendent on the vision and mission for the Parks Legacy Plan. •	Are our resources deployed in the most effective manner? •	What is the public view of our park system? •	What are the basic services Parks provides? The Seattle Board of Park Commissioners is a nine-member citizen board created by the City Charter. Four members are appointed by the Mayor and confirmed by the City Council; four members are appointed by the City Council; and one member is a young adult appointed by the YMCA Get Engaged Program (http://www.leadershiptomorrowseattle.org/YMCA.asp). Current members are Antoinette Angulo, Jourdan Keith, Chair Diana Kincaid, Brice Maryman, Caitlin McKee, Yazmin Mehdi, Tom Tierney, and Barbara Wright. The Board meets once a month, normally on the second Thursday with added meetings as the Board deems necessary, to advise the Parks and Recreation Superintendent, the Mayor, and the City Council on parks and recreation matters. 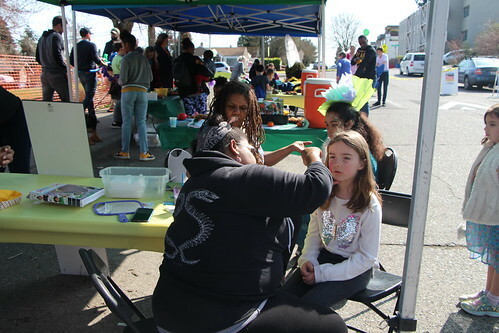 For more information, please call Sandy Brooks at 206-684-5066 or email her at sandy.brooks@seattle.gov. Over the next two months starting Wednesday, March 6, small sections of Gas Works Park will be closed to the public as environmental crews continue an ongoing investigation of sources of contamination along the park on Lake Union. The State Department of Ecology (Ecology) oversees the work under a March 2006 legal agreement between Ecology, the City of Seattle and Puget Sound Energy (PSE). The soil and groundwater study will help in the cleanup of contaminated lake sediments by gathering information on the effect of underground contamination from the upland (on-shore) area on sediment (lake bottom mud) in Lake Union. 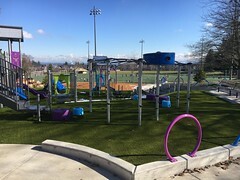 Details on this project and other cleanup work at Gas Works Park are available on Ecology’s website at https://fortress.wa.gov/ecy/publications/SummaryPages/1309163.html. Contractors hired by PSE will perform soil borings and install monitoring wells to study soil and groundwater conditions 10 to 50 feet below the ground surface. Preliminary field activities have begun and drilling activities are scheduled to begin on March 18, 2013. Park users can expect to see track-mounted drilling rigs that will push probes into the ground in up to 80 locations in the park. A 50-foot area around each drilling location will be closed to the public while drilling takes place, then reopened. An area for staging equipment will be signed and fenced. A half acre field just north of the park’s Play Barn will remain closed to the public until late spring to allow new turf grass to take root. Once the sampling and monitoring work is completed, the results will be analyzed and incorporated into a Draft Remedial Investigation/Feasibility Study Report (RI/FS). The RI/FS will describe the findings and outline potential cleanup options, and will be available for public review and comment. BackgroundGas Works Park is a 20-acre park located at the north end of Lake Union. From the early 1900s until 1956, gas companies operated a plant at the site that converted coal and oil into manufactured gas. A tar refinery also operated at the site, refining materials obtained as a byproduct of the gas manufacturing process and producing tar-based coal products. The Park underwent an environmental cleanup in 2000-01 and in 2005, when most of the park was covered with two feet of clean topsoil placed over a protective barrier. The historic gasification plant metal structures were preserved in place. And groundwater remediation was conducted from 2001 through 2006. Investigation of the sediments offshore of the park in Lake Union has indicated the presence of contaminants. The upcoming work includes evaluation of the upland areas for impacts on the sediments. The results of the work will identify the nature and extent of impacted soil, groundwater and sediment and help identify potential cleanup solutions. Portions of Seattle’s Gas Works Park and parking lot will be closed to the public for several weeks starting Sept. 27, as Seattle Public Utilities (SPU) continues its ongoing investigation and evaluation of sediments offshore of the park. The environmental testing—involving heavy equipment drilling of groundwater monitoring wells—is scheduled to take place weekdays during daylight hours. It will be noisy at times, and Puget Sound Energy’s contractor will monitor sound levels. There will be vehicles entering and leaving the park during the testing. 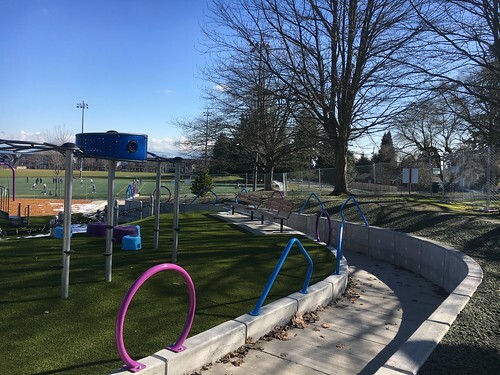 Gas Works Park, including the snack bar and restrooms, will remain open during the work, but park visitors will be restricted from areas where drilling activities are taking place and areas where equipment is stored. The City of Seattle (under the lead of SPU) and Puget Sound Energy are studying the park and the adjoining lake bottom to gather information needed to clean up contamination left in Lake Union’s sediments by the manufactured gas plant and other industrial facilities that once operated at the site. The investigation and subsequent cleanup of contaminated offshore sediments is expected to take several years. More information about this cleanup is available on the Washington State Department of Ecology’s website: http://www.ecy.wa.gov/programs/tcp/sites/gaswkspk/gaswks.htm. Seattle Parks and Recreation operates 26 community centers, 10 community pools, and four environmental learning centers, and manages more than 6,200 acres of park land. Parks’ mission is to build community through people, parks and programs.